Fix the rate if you are not sure of the route. 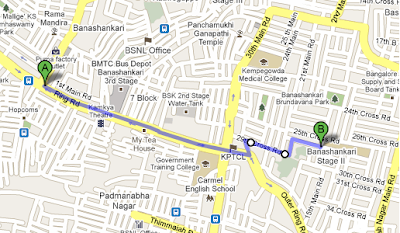 Check online maps such as Google Maps OR btis.in for distance estimates. Notice when the meter starts ticking after 2km mark. If this is substantially earlier than expected then immediately get out and find another Auto. Electronic meters have a secret - When being flipped, they should briefly display "2-Stroke" OR "4-Stroke". If not they are likely to have been tampered. This tip was told by a rickshaw driver himself. Pre-paid NFC Smart cards for payment. Earlier this week I boarded yet another turbo-charged analog meter Auto. The driver instantly agreed for 1.5x charge (at 4:45 AM). This raised my suspicion, but instead of going for a fixed charge, I accepted the deal. Around 1.5km mark he switched to a longer route which I didn't object. This was going to cost me ~0.5km extra distance so I kept silent. To my horror, the meter starting ticking early. I realized this when it had clocked Rs. 19. We were roughly at the 2km mark (Rs. 14). This was a ~40% faster meter, taking me through 10% longer route and that too at 1.5x the cost. I immediately aborted the trip and got off. This was an extreme case, but 10-20% excess charge is commonplace in Bengaluru. 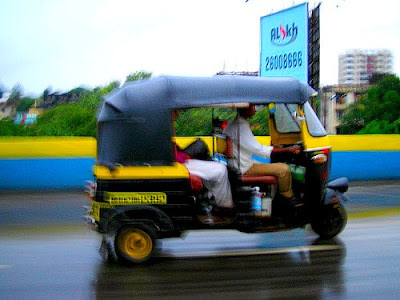 If you have tips on hiring an Auto-rickshaw, post in comments.